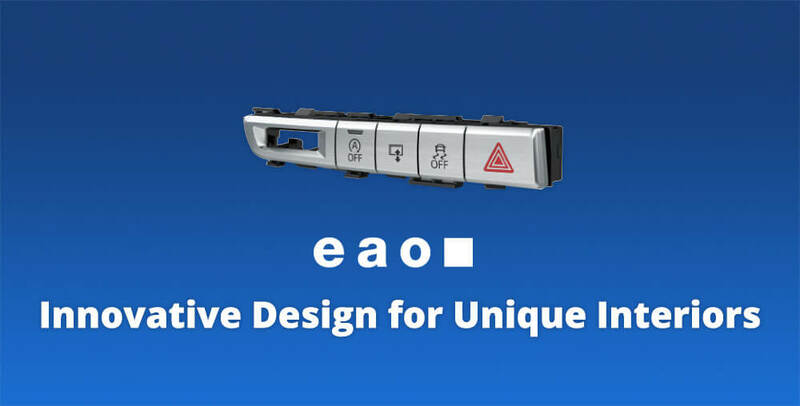 EAO Interior Switch Modules for the Automotive Industry » HHP Associates, Inc.
For decades, EAO has impressed automotive customers with high-quality standards, skills and innovation. In meeting their technical challenges, their solutions have exceeded expectations for design, precision and tactile feedback. Custom-built with top-quality surface finishes, integral illumination and sophisticated electronics, EAO switch modules will add to the vehicle’s ambiance, while maintaining the highest standards in safety and usability.